The FCC today revealed a Verizon-branded Samsung SM-T337V. 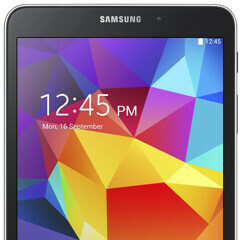 Just as we assumed in February, the SM-T337V is an LTE-ready version of the new Galaxy Tab 4 8.0 (officially announced yesterday). Naturally, the SM-T337V supports Verizon’s LTE bands (band 4 and 13). Other than that, it’s probably identical to the Galaxy Tab 4 8.0 that will be available internationally later this quarter.